this four bedroom, 2 bathroom elevated semi-detached bungalow is perfect for a first time home buyer or someone looking for a place with extended family. main level offers foyer, inside entry from garage, self contained in-law suite (with direct access to backyard) kitchen, living area, bedroom and full bath. upstairs you will find open concept kitchen/living/dining combo, three bedrooms and full bath. 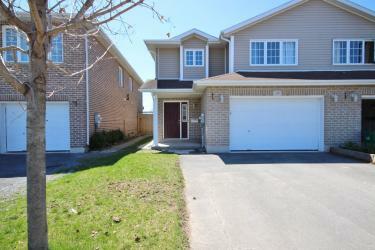 all centrally located with easy access to the 401 and cfb kingston.